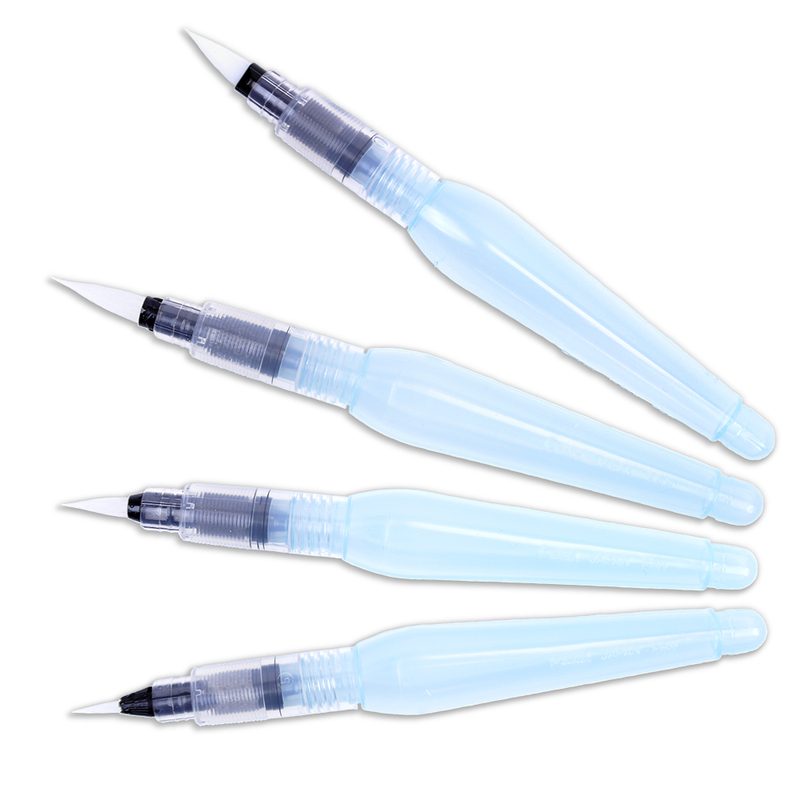 The Aqua Brush is a refillable multipurpose brush that can be filled with water to blend colours, or with coloured ink and water soluble paints to create a watercolour finish. 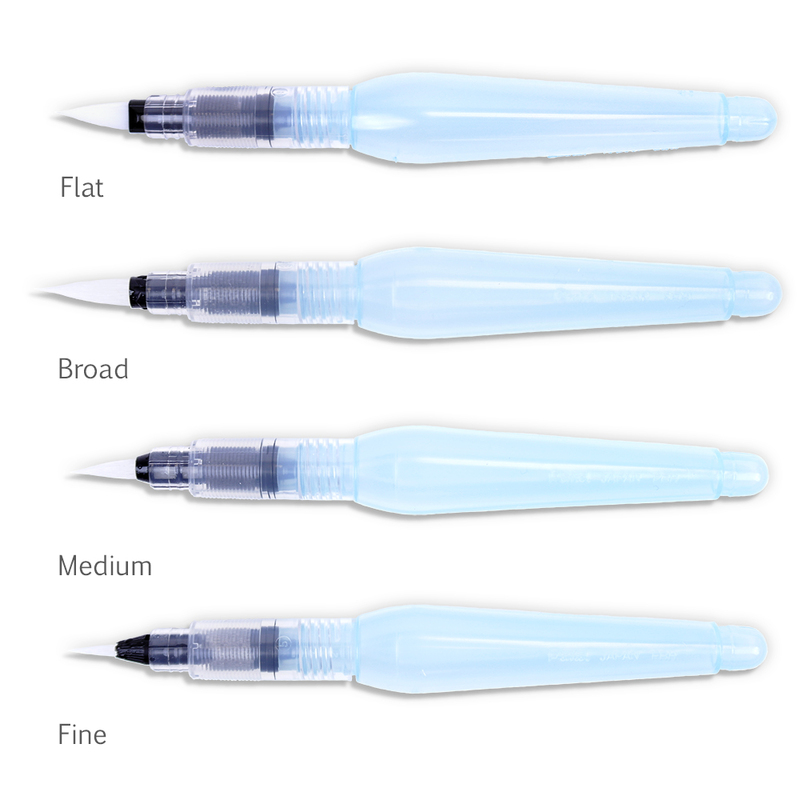 Featuring a flexible nylon tip which has been specifically treated to absorb and hold the ink for longer lasting strokes. 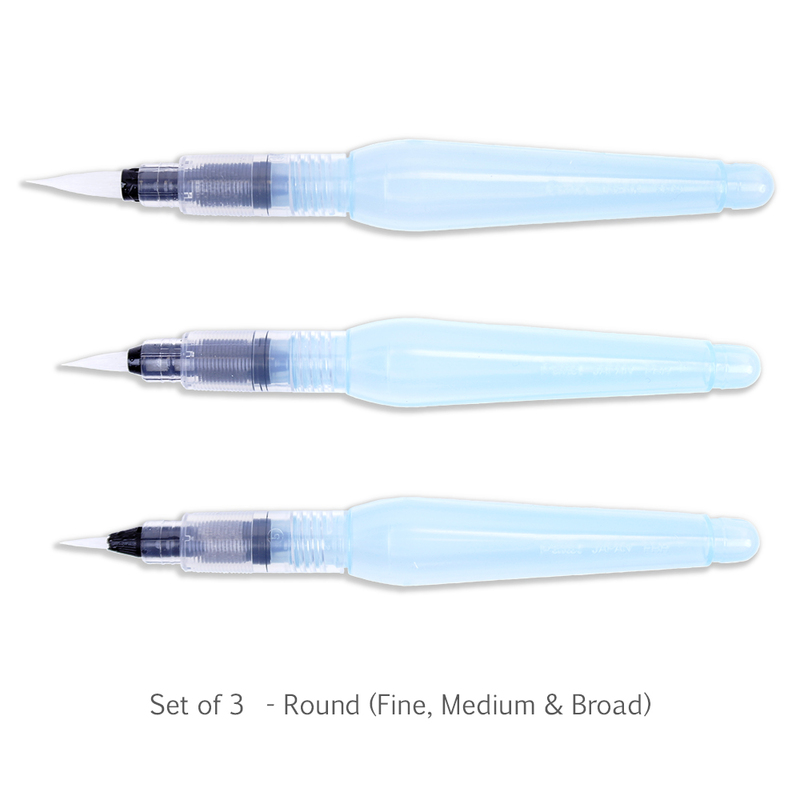 Each brush holds approximately 10ml. 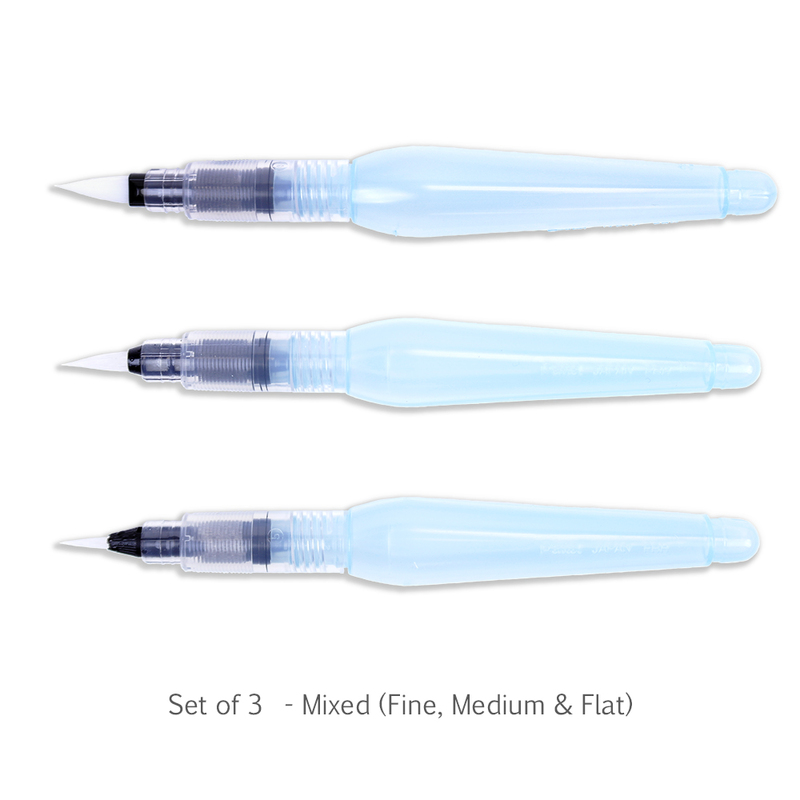 Available in fine, medium and broad tip sizes (equivalent to size 4, 6 & 8 round brushes), a set of all 3 round brushes, a flat tip and also the Medium, Fine and Flat tips as a set of 3.